Three army jawans went missing at Mani Post Bagtoor Gurez sector of Line of Control (LoC) in Jammu and Kashmir's Bandipora district due to snow avalanche. They went missing after the night temperature at most places in Kashmir division, including Ladakh, dropped last night. Pir Panjal range in Rajouri and Srinagar continued to receive season's first snowfall, while the Mughal road and the Jammu-Srinagar National Highway has been closed for traffic due to snowfall in the region. Meanwhile, Solang valley in Manali of Himachal Pradesh also received fresh snowfall. 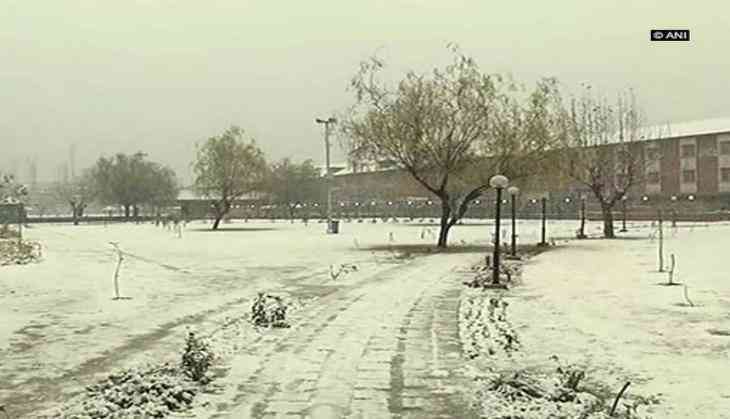 The Met Department had earlier said that a western disturbance would affect the state from 11 December.